Many people today long for a personal relationship with God where we know that God is real, cares about us, and gives us purpose for our lives. The holy Scriptures are the divinely inspired and revealed Word of God. When we read the Scriptures, God talks to us through the power of the Holy Spirit, and we talk to God. It’s a dialogue in prayer. As St. Augustine puts it, “When you read the Bible, God speaks to you; when you pray, you speak to God.” Lectio divina, translated as divine reading, gives us a method to develop a personal relationship with God. Reading the Scriptures opens our mind and heart to God and ignites our spiritual growth. St. Paul summarizes the benefits of reading Scripture in his Second Letter to Timothy. He writes, “All Scripture is inspired by God and is useful for teaching, for refutation, for correction, and for training in righteousness, so that one who belongs to God may be competent, equipped for every good work” (2 Tim 3:16-17). Learning lectio divina as a method of reading and praying the Scriptures is a proven way to grow in faith as a missionary disciple of Jesus Christ. We can trace the use of lectio divina to the third century of our Catholic tradition through the writings of Origin, a theologian who lived in Alexandria, Egypt. This method of prayer is highly recommended by the Catholic Church, most recently in the writings of Pope Benedict XVI and Pope Francis. Pope Benedict XVI teaches us about the four steps of lectio divina in his apostolic exhortation, The Word of God. Each step can open up for us the treasure of God’s word and lead us to life-giving encounters with Jesus Christ. Let’s take a look at each step. Step 1: Reading the Scripture (lectio). The Scriptures are God’s living word that reveal God’s love for us and His plan of salvation for all people. 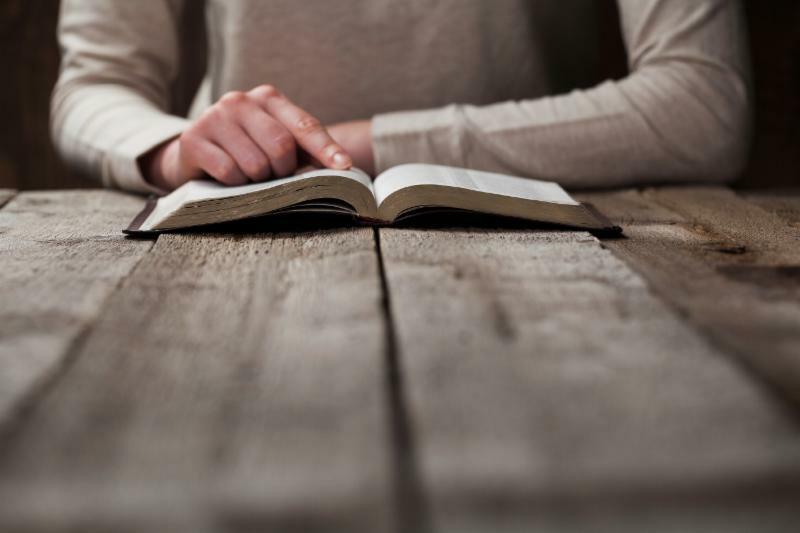 In this first step of lectio divina – reading the Scripture – we listen attentively and desire to learn what does the biblical text say in itself? Step 2: Meditation (meditatio). Here we ask, what does the biblical text say to me or to us? As we listen to God’s word, the Holy Spirit guides us to focus on a word, a phrase, or an idea that pops into our mind. We let the word of God move us, challenge us, and inspire us. Step 3: Prayer (oratio). This third step engages us in the question, what do we say to the Lord in response to His word? Our meditation on God’s word stirring within us leads to different responses. We could ask God for strength or courage, thank God for a favor given, intercede for someone who needs God’s help, or simply rest in praise, awe, and wonder in God’s presence. This type of prayer from the heart draws us closer to God. Step 4: Contemplation (contemplatio). The final step of lectio divina prompts us to ask, what conversion of mind, heart and life is the Lord asking of me or of us? Resting now in a heightened awareness of God’s presence, we contemplate how the Holy Spirit is guiding us to put on the mind of Christ and transform us into a person who loves like Christ. This four-step process is not completed until we put into action (actio) what the Holy Spirit has taught us. Here we ask, how can I do God’s will? in order to live like Christ and build God’s kingdom. There it is. Lectio divina: four easy steps that anyone can use in praying the Scriptures. Consider bringing Living the Eucharist to your parish in Lent 2016 and give your parishioners the opportunity to learn lectio divina, a way of praying the Scriptures that transforms lives. You can learn more about Living the Eucharist at www.LivingtheEucharist.org. Click here to sign up for a free webinar on September 22, 2015, to discover how Living the Eucharist awakens faith in parishioners and helps them become more committed missionary disciples. Rev. Kenneth Boyack, CSP, is Vice President of Paulist Evangelization Ministries.